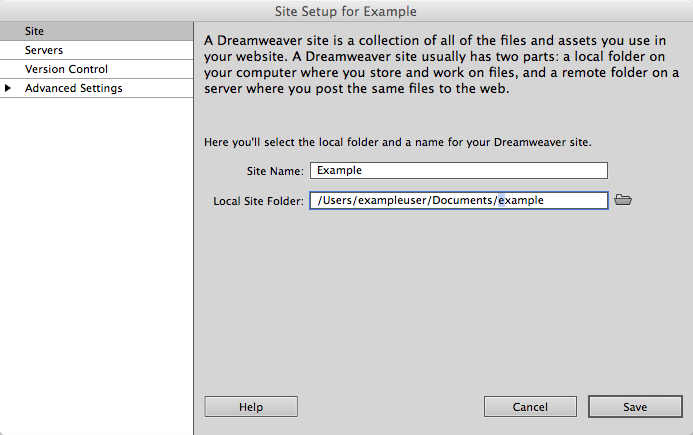 This article will explain how to publish a website using Adobe Dreamweaver CC 2014. Go to the Site menu and click on New Site. 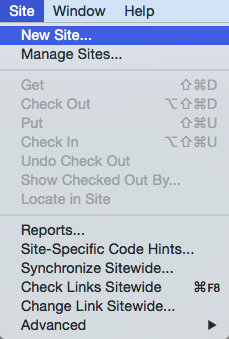 The Site menu with New Site selected. On the Site Setup page enter a name for this site. Then choose a folder for storing your site on your computer. 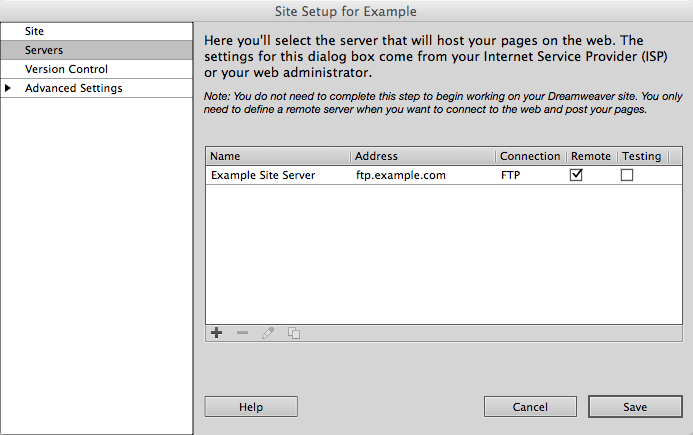 The Site Setup page with example data. Click Servers on the right side of the setup window. On the Servers page click the plus symbol or + to add a new server. 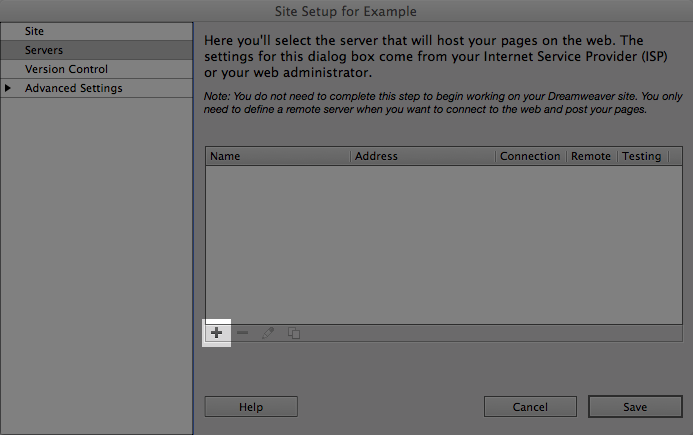 The servers page with the add server button highlighted. 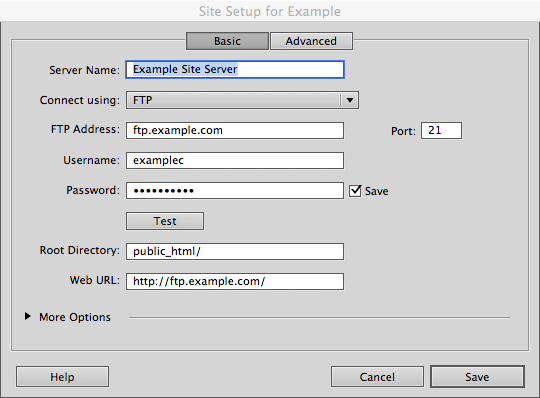 On the new server page fill out the FTP server settings. Server name is any name you would like to give this server. Username should be your hosting account username. Passsword should be you hosting account password. The Root Directory is normally public_html if your site is hosted out of another folder use that folder. Web URL should be just the URL you access the site from. Click the test button to make sure the settings work and make any corrections if needed. You should see the server in the list of servers for the site now. Click Save. The servers list with the new server. 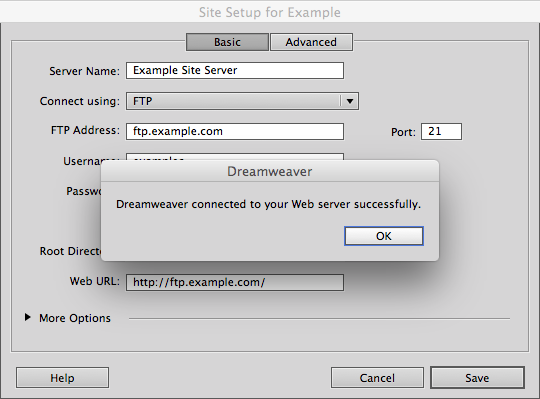 After you have followed the steps for Adding the FTP Server its simple to publish the site. Go To the Site menu and click on Put. 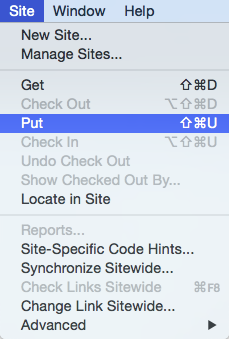 The site menu with Put selected. Click yes if it asks you to publish dependent files. Thats It! You will see a progress box indicating it is publishing your files. When finished it will go away automatically.